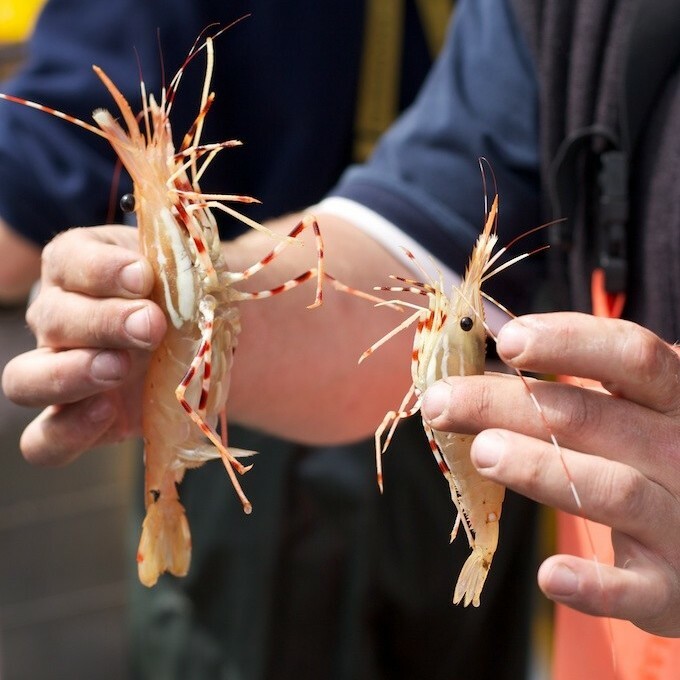 Get your hands on some of these deliciously fresh critters at the False Creek Fisherman’s Wharf and let Vancouver’s finest inspire you in the kitchen. The recent Spot Prawn Festival featured delectable recipes from local chefs, such as this one by Darren Brown, Executive Chef at the Fairmont Pacific Rim and Chefs’ Table Society member. Poach spot prawns in a court bouillon of salted water and lemon. Peel garlic and slice the cloves paper thin. In a saucepan over low heat, slowly clarify butter at with the garlic and chili. Finish butter with honey, salt, and lime zest. Remove from heat. Use the finished butter as a dipping sauce for the prawns, or peel some of your poached prawns, transfer a small amount of the butter to a sauté pan, and give the prawns a quick toss in the seasoned butter to glaze them.